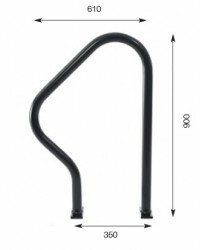 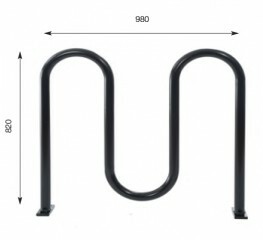 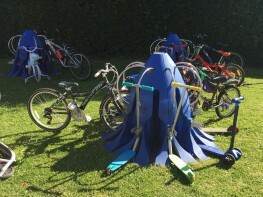 The Minipod is a unique product designed to get children cycling. 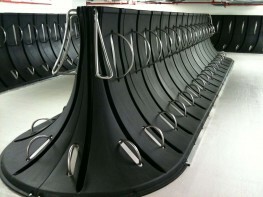 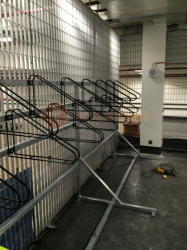 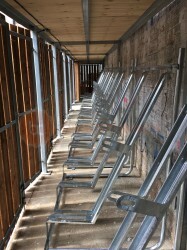 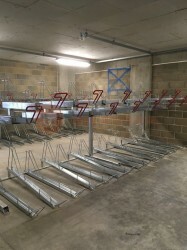 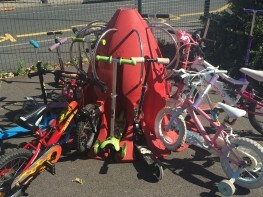 The Minipod is an innovative product which allows 8 bikes and 8 scooters to be secured. 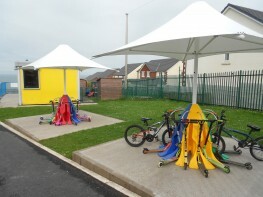 The Minipod has been designed to fit 12”-26” wheels, so is specifically aimed at children up to 11 years of age; ideal for primary schools, but can cater for the occasional teacher/adult bike with 26” wheels. 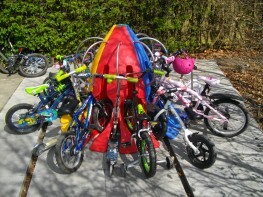 At less than 1.5 meters in diameter, the Minipod not only saves space, but appeals to children by offering a colourful, innovative and playful design. 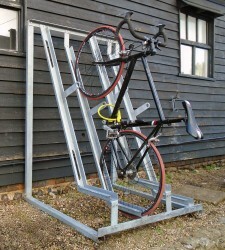 Minipods are also sustainable products with a fully recycled model available (in black). 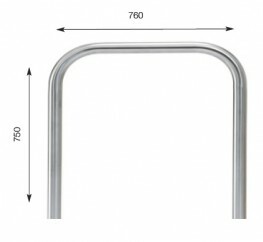 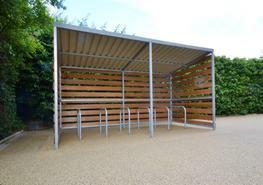 We offer a selection of colour options all of which are 100% recyclable. 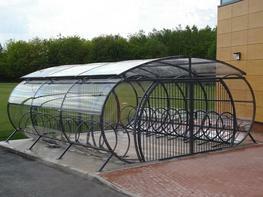 There are now over 18,000 bike spaces in schools across the UK provided by Minipods! 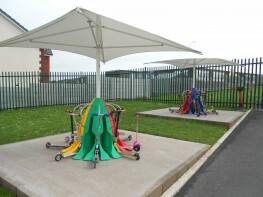 Minipods can be bolted onto hard standing surfaces like tarmac and concrete or purchased with a metal base and matting for siting on soft surfaces such as grass. 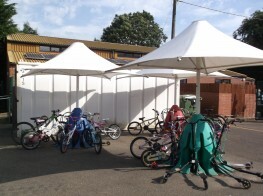 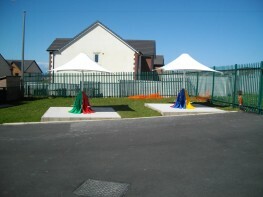 Canopy and shelter options are available to provide shelter for the Minipods. 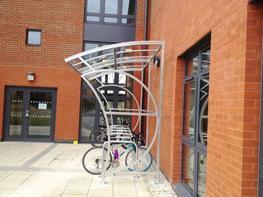 A fully-recycled model is available in black and all other available colours are made from 100% recyclable materials.